Have you ever wondered what the admissions process is like from the college's perspective? College admissions isn't about selection, it's about recruitment. Attracting student awareness is the cornerstone of admission strategy, and it's an expensive game. Check out this article that highlights the recruitment process at Indiana's University of Evansville. Evansville enrolled a class of just over 500 in the year 2014, it took nearly one million dollars and over 150,000 students to get to that point. 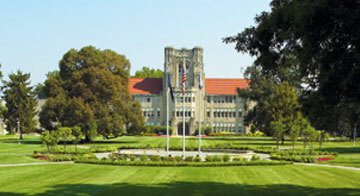 Like most colleges, Evansville start out by identifying a large pool of potential students. Over $600,000 later, the university manages to narrow its field. Admissions counselors then have to garner applications, review those applications, and admit students. The last step in the process requires securing student deposits. Months of work, a lot of money, and countless phone calls later, the freshman class arrives in August to begin their college journey. Are you surprised by how much work it is to actually enroll a student? We would love to hear your thoughts in the comments below.